I have stayed at Skylofts a few time but haven’t visited for a few years. We stayed for one week in a 2 bedroom loft. Besides all the amazing things other people have listed here one of big game changers is the new texting service that skylofts provide. This allowed the planning and organising of many different things whilst away from the skylofts where numbers for foreigners can be hard to remember. The amenities were second to none and this is still definitely one of the best Las Vegas hotels I have stayed in. I was expecting a package for work which arrived late after I had checked out and the staff were still helping me ship it long after I was back home. This is luxury on a new level. The issues I had last time although small have been corrected and the internet speeds were exceptional for a hotel. If you get a chance I would not hesitate recommending staying here. It is simply one of the best hotels I’ve stayed in the world. One of a kind experience. The room was amazing, the staff was courteous and the dining was delicious. When I return to Vegas this is definitely where I would hang my hat, even as part of the Mgm grand the skyloft feels like a different world. I’ve been around the block and the skylofts and there employees are unparalleled. Enjoyed our stay over Chinese New Year at the SkyLofts in the MGM Grand. We were always impressed for the care and service the staff has. This time, we were pleasantly surprised they had a VIP line for the Jay Chou concert for MLife members. The Skyloft was the perfect blend of informal space and living quarters. It worked perfectly for hosting many business meetings and small receptions. Guests did have a challenge finding their way up though, and signage is not readily visible. Horrible experience. They shut the water in our loft. No shower. Not sink. Not toilets. Ridiculous. We have never had this happen before. So crazy. Really wish they would have moved us or something. Nuts. I have stayed at the one bedroom skyloft before but this time I stayed in the 2 bedroom and it was incredible. All the staff was amazing. But the best part of the trip was breakfast at the mansion. Didn’t get picked up in the Bentley from the airport that was the only disappoint in the whole trip. Park Theater is a short stroll from The SKYLOFTS at MGM Grand, and other popular attractions like T-Mobile Arena are within a mile (2 km). This 51-room, 5-star resort has 4 outdoor pools along with a full-service spa and a casino. This resort is home to 18 onsite restaurants, perfect for a quick bite to eat. Savor a meal from the comfort of your room with 24-hour room service. Start each morning with full breakfast, available for a fee from 4 AM to 1 PM. A flat-screen TV comes with satellite channels and a DVD player, and guests can stay connected with free WiFi. Pillowtop beds sport premium bedding and down comforters, and the bathroom offers a jetted tub, a hair dryer, and designer toiletries. Other standard amenities include a dining area, a sitting area, and a minibar. 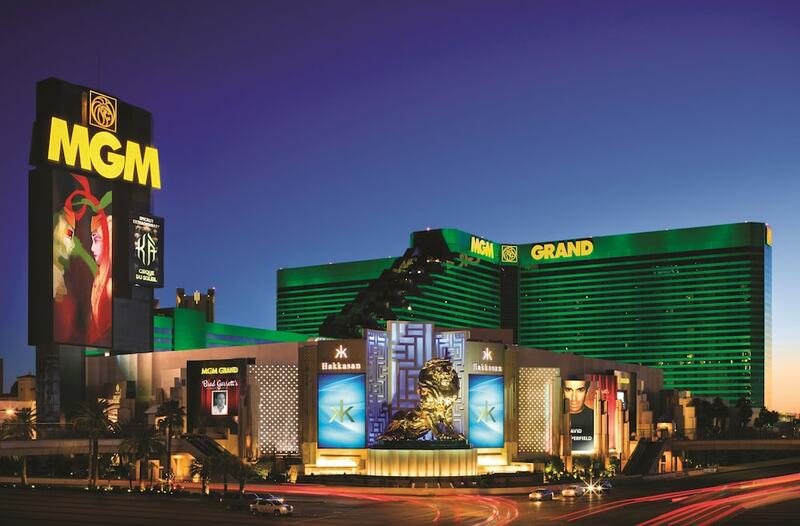 The SKYLOFTS at MGM Grand features a full-service spa, 4 outdoor pools, and a casino. If you drive, put free valet parking to good use. Multilingual staff at the front desk are standing by 24/7 to help with dry cleaning/laundry, luggage storage, and concierge services. Other amenities at this luxury resort include a nightclub, a spa tub, and a sauna. Full breakfast is served daily from 4 AM to 1 PM for a fee. The resort has 4 outdoor swimming pools and a spa tub. Other recreation options include a sauna. The resort can refuse certain bookings for the purpose of group events or parties, which include pre-wedding stag/bachelor and hen/bachelorette parties. This property does not allow outside food and beverages. All food and beverages must be purchased on site. Guests wishing to hold private events must request prior approval from the property. For details, please contact the property using the contact information found on the confirmation received after booking.